The Fore Well first appeared in historic records in 1314, when it was deliberately blocked by Robert the Bruce’s troops as part of wider destruction of the castle to prevent it being used against them, but it is thought to be older. 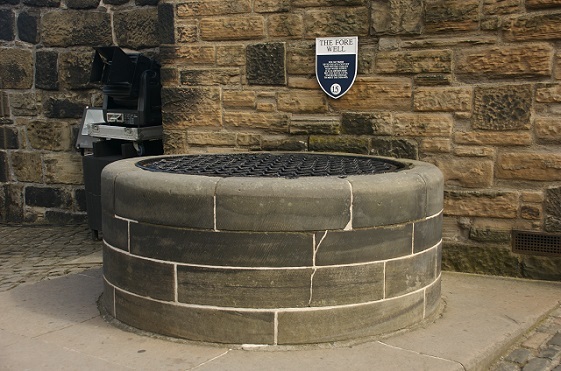 In its long history, the well has provided a vital lifeline to the castle’s residents throughout many sieges. During the Lang Siege in 1573 it was completely blocked by falling masonry from the bombardment of David’s Tower and rendered unusable. It was subsequently cleared and extended in the following century and brought back into use. Can you imagine who may have consumed water from the well down the centuries? Alexander III, John Balliol, Edward I, James IV, Mary Queen of Scots, James VI, besieged Jacobite soldiers, Black Watch troops returning from Waterloo, Victorian Highland soldiers among others! Very little survives of the medieval castle. It can be hard to understand or appreciate how the early castle would have looked. The Fore Well was first surveyed in 1912 by William Thomas Oldrieve, Architect for Scotland with the Office of Works. Oldrieve had the well cleared out, drained and it was even himself that was lowered down to the bottom of the well in a bucket! Objects found in the well included: one complete and several fragments of cannon balls, a halfpenny dating to 1795, a brass uniform button possibly from a soldier resident at the garrison. 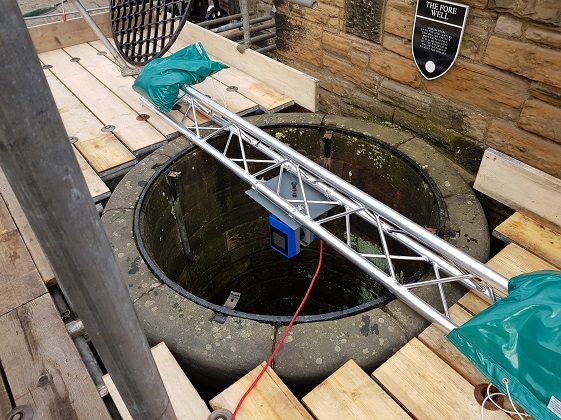 The aim of our investigation was to digitally document the well using laser scanning technology, not only to compare the findings with Oldrieve’s work but to confirm the shape and volume of the well and investigate any tunnels leading off it. 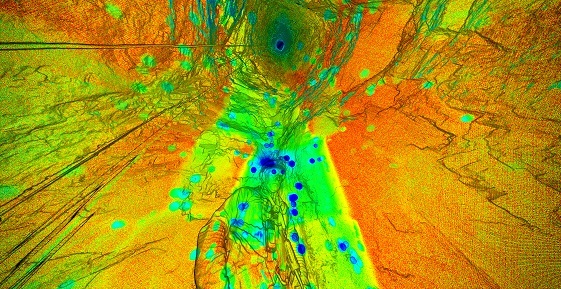 An accurate 3D record also gave the first virtual access to the well. Two different scanners and methods were used to capture the data. The first was to suspend an inverted scanner over the mouth of the well. The scanner over the well. The second involved sending a member of the team down into the well with a smaller scanner. Mark Soultar, our Works Manager was down in the well for around 2 hours. By the end of his adventure the water had risen to the top of his boots! Mark Soutar was lowered into the well. Finds during this recent scan possibly provide more evidence of the castle’s career as Scotland’s most popular paid-for tourist attraction. Items found included modern small change and a small, plastic toy skeleton. 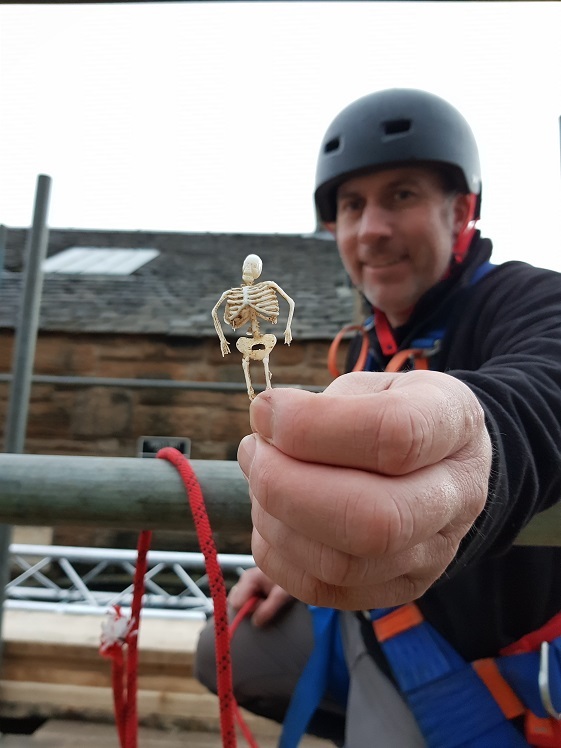 Recent archaeological finds include this skeleton! Check out the 3D model of the Fore Well here. Next time you visit the castle look out for the Fore Well. It is covered though so don’t go thinking you can climb into it!